Poster of the 1920’s edited on the occasion of “Coppa Esperia” held in Italy. We recognize the names of several players of “S.G. Andrea Doria, Genova”, the leading Italian Club, in this period. 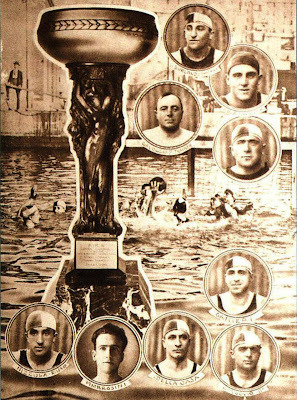 Several of them represented Italy either in 1920 or 1924 Olympic Games: Luigi Burlando, Emilio Gavoglio, Eugenio Dellacasa, Achille Gavoglio, Eugenio Dellacasa,Tito Ambrosini.